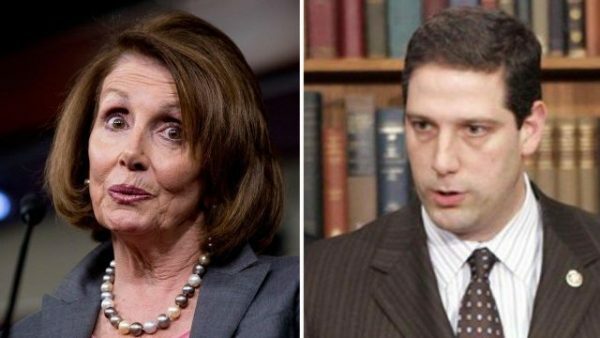 Will Nancy Pelosi Stay 'Top Democrat' In The House After Secret Ballot? Will Nancy Pelosi Stay ‘Top Democrat’ In The House After Secret Ballot? Democrats in the House of Representatives will decide on their party’s leader Wednesday via secret ballot, and the question remains as to whether they will make any changes for the first time in over a decade? Rep. Nancy Pelosi (D-Calif.) has held the title of House Minority Leader since 2002. She also served as Speaker of the House from 2007 to 2011, and is known as the highest-ranking female politician in American history. Despite losses under Pelosi’s leadership, a group of female Democrats is rallying behind her, and circulated a letter, which reportedly said that to not keep Pelosi in power would be yet another “heavy blow to the aspirations of young women and girls,” after Clinton’s loss. Younger House Democrats are reportedly becoming frustrated with the lack of change in the party, where leadership roles are held by Pelosi, and other representatives in their 70s, such as Minority Whip Steny Hoyer and Assistant Minority Leader Jim Clyburn. One former Democratic leadership aide told The Hill that there is a generation of Democratic leaders who have been “held down or even cut off at the knees” to keep the current leaders in power. “Leader Pelosi is an incredibly strong fundraiser, she’s an incredibly dynamic leader, she gets out there and gets the caucus to do things together that most other leaders would have a very hard time doing. But that’s come at an expense,” the aide said. Given Donald Trump’s victory over Hillary Clinton, the question stands: Will Ryan oust Pelosi in the secret ballot held on Wednesday?